The Michael C. Carlos Museum is known for its Egyptian art collection, particularly its mummies. But there's more. On the upper level of the museum is their African Art collection, which includes some remarkably beautiful masks. The collection includes "a wide variety of masks...that carry religious and cultural significance for participants, including the audience." 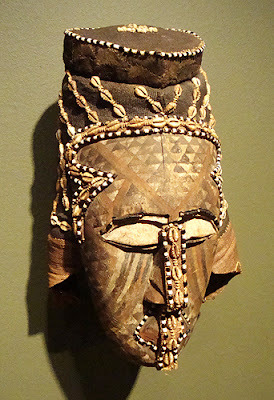 This one (photo), part of a masquerade costume, is one of my favorites currently on display. While you're there, check out the "Divine Intervention: African Art & Religion" exhibition, now through Sunday, December 4, 2011.